When it comes to operating at peak performance, today’s small and growing companies face a variety of obstacles that can prevent them from meeting their business goals. In addition to federal and state employment-law compliance, there are other systemic pitfalls than can expose a company to risk. 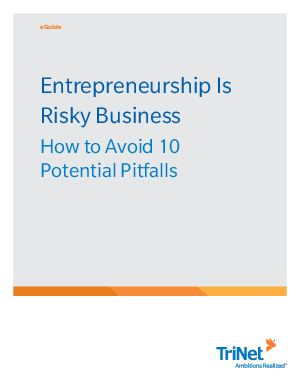 Download this eGuide, which identifies the foundational risks that can distract executives from focusing on and achieving their business' goals, and also offers recommendations for minimizing or eliminating those risks altogether.